Singing for the Soul with Christians and Muslims together. It was a pleasure, to sit in such a mixed congregation. We sang the carefully chosen hymns together and the young Muslim man next to me guided me through the chants in Arabic and in Urdu. 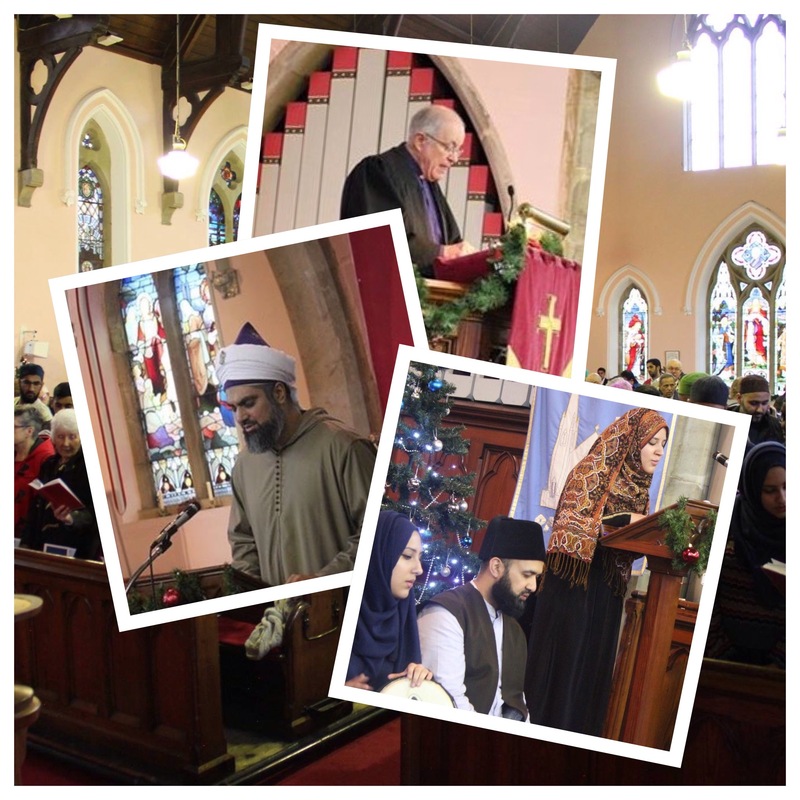 The service was beautifully conducted by Rev Jim Corrigal followed by an interesting address from Rauf Bashir, who explained about the birth of the Prophet Muhammed (pbuh) and about the links between Christianity and Islam. The words of prayer were careful and meaningful. We all seemed to find the chants, by the Sufi Muslims relaxing and quite beautiful. The final chant was in English and was sung by Bilal (aka Billy) and our choir hummed the chorus, after each verse. We had little chance to practice together and it was good to see so many had learnt the tune by using the BOX on our songs page. 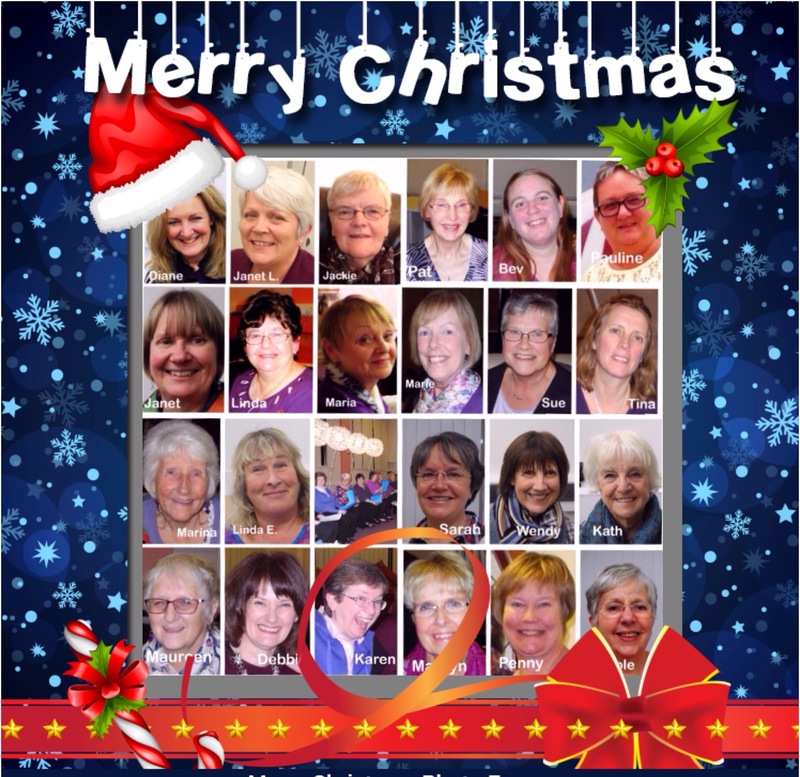 Our choir sang the final song ‘I saw a ship’ one which we had prepared for Christmas performances. As it was a Sunday morning it was difficult for everyone to attend but we were at about half strength. Our choir singing with Bilal. After the service a meal had been prepared by the young men from the Free Spiritual Centre which provides a free meal for anyone, every alternate Friday, at Victoria Park Cafe, Nelson. 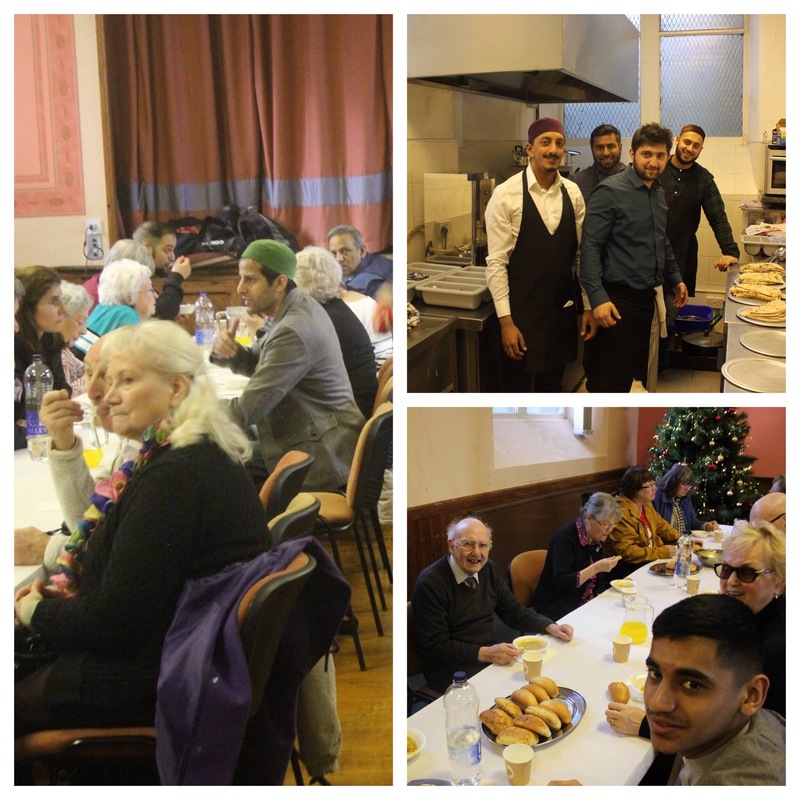 BB97SS https://www.facebook.com/Free-Spiritual-Centre-1414812865488935/ The Sufi Muslims meet at Brierfield Commuity Centre once a month to sing and all are welcome. They are hoping that we can sing together with them in the future. Exciting times ahead. 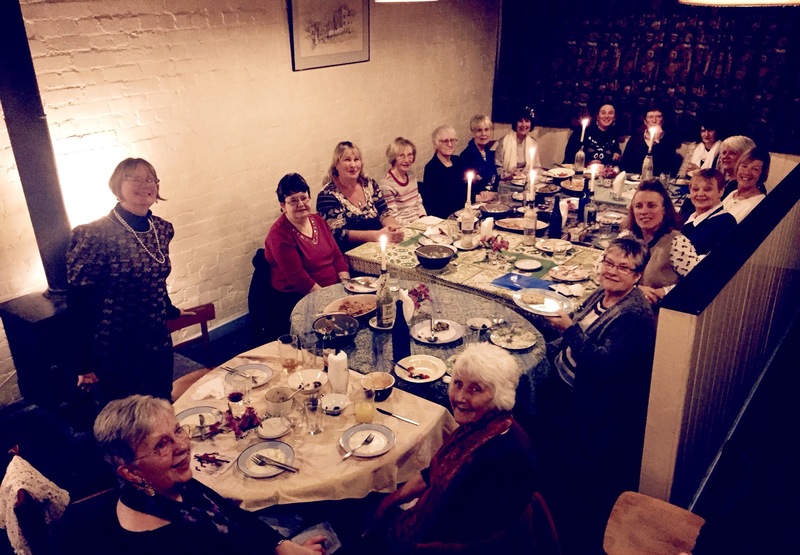 Meal at Unitarian Chapel, Padiham. At the Free Spirit Centre in Victoria Park Cafe. Meeting up with Jim and practising with Bilal. Grateful thanks to all organisers as well the Free Spiritual Centre for selection of photos. 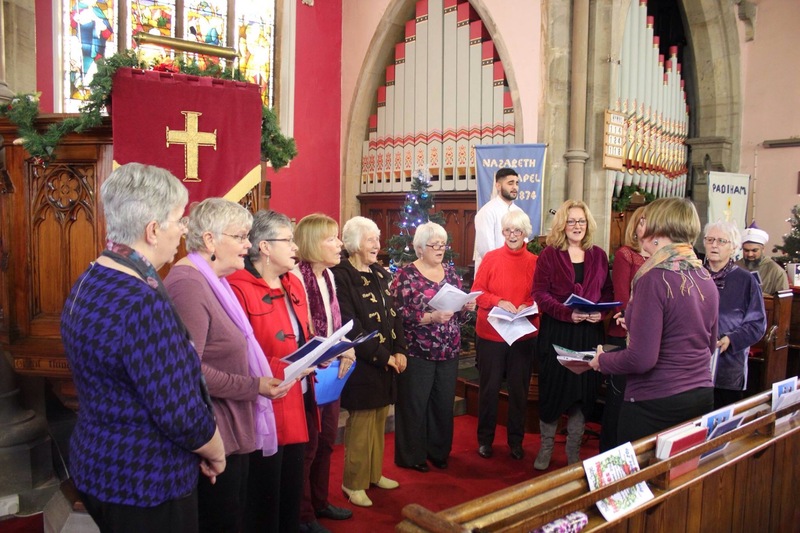 Return 19th Jan 2016 – No choir 23rd Feb – Finish for Easter 22nd March. Return 12th April. – No choir 24th May – Finish mid July. 2. Sing for Water will be on 12 June. A chance to sing in a combined choir of about 300 in Manchester, rehearse locally with other people, rehearse on Tuesday night with Janet, produce an amazing sound and raise money for Wateraid.. To say nothing of the fun. You can see us in Manchester here http://youtu.be/0lVrIjm-zgg. We are singing in Zulu and some of the altos discovered their true Zulu spirit! 3. 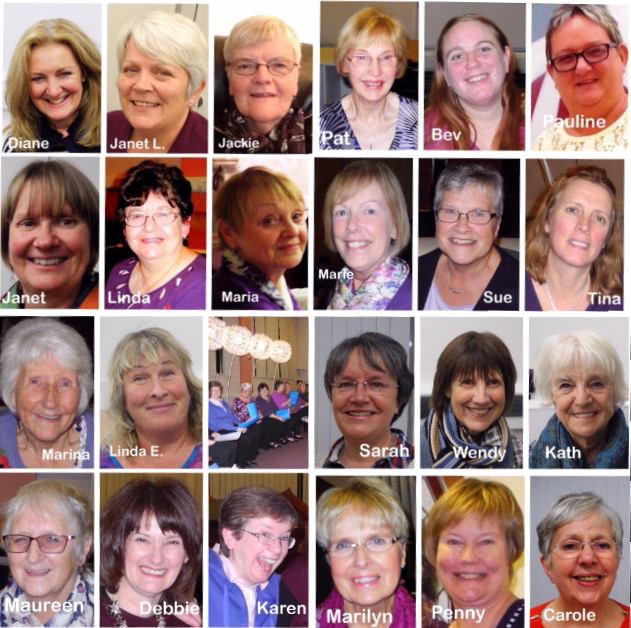 Singing weekend at Minsteracres with Janet, 1st -3rd April. Although Minsteracres is a Christian retreat centre everyone is catered for.. Even if you just want to sing and have a walk round the lovely grounds. We can get a group discount and only a small deposit is needed. We can discuss this and book on our return in January. Well what great final week the choir have had. A bit of a sing in the Red Triangle cafe followed by a vegetarian meal and then a great performance at St John’s, Burnley and a huge buffet ready for us afterwards. We really did sing for our supper. Well done everyone, we have had so many compliments about our performance. Congratulations and thanks to Janet Swan, our leader of course. 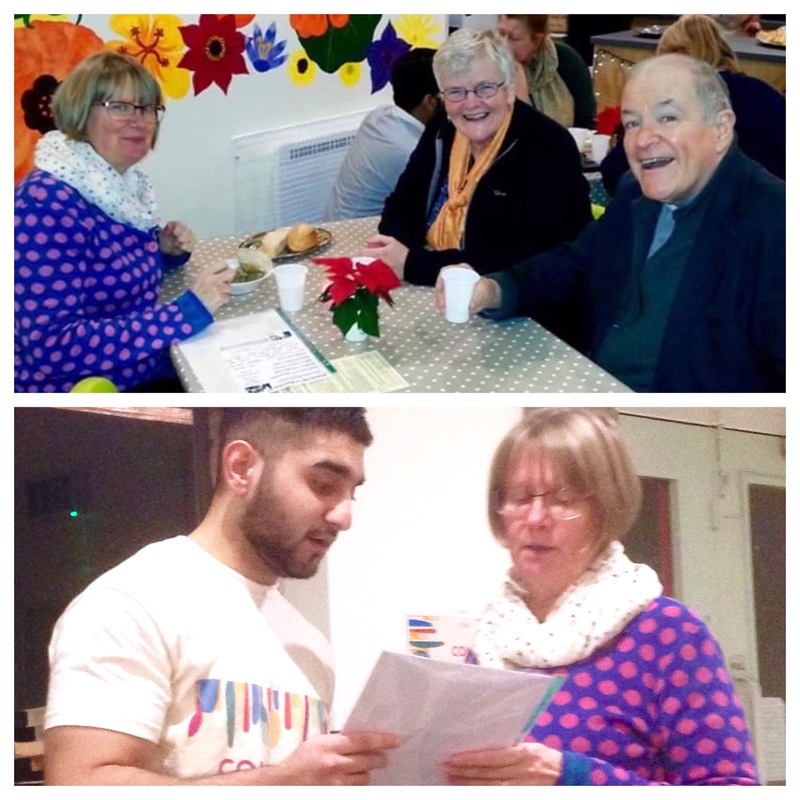 For some of us there’s even more as we sing with the Sufi Muslims on Sunday (20th December) at an interfaith event, at the Unitarian Chapel, Padiham 11am… followed by yet another meal…. Another post on that after the event. .
Singing for the Soul at the Red Triangle Burnley. Photo thanks to choir member Sarah Nutter. Don’t forget to look at ‘Our Lovely Mugs’ page. To see everyone individually and read what they say, see the page above.